The game is developed by Jussi Kukkonen and Elias Viglione, 2 indies who love making games! Please rate the game to show your support and love to us poor students! 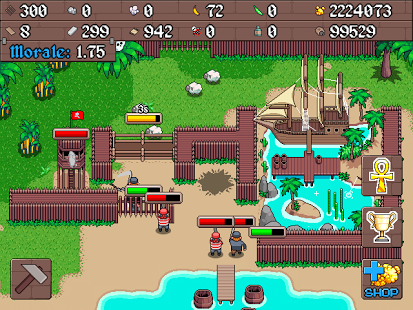 Rum Isle is an adventure RTS game where you collect resources and build towers to protect your village. 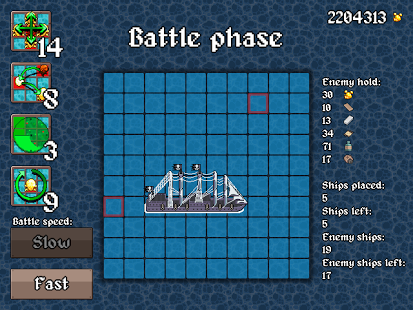 You can fight back in a traditional game of Battleships where you receive resources upon victory and also have a chance to obtain rare Relics to gain an advantage over your enemies. We want your ideas and feedback so we can patch the game on a regular basis into the direction you players want it to go! We really love you all, and want to make the game even more awesome for you! NOTE! The game will show you only 1 advert every time you press the "PLAY" button, after that you wont be disturbed any further. - Different tower types to upgrade up to 5 times and then choose from ultimate tower types! 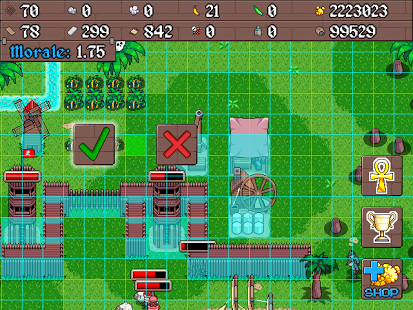 - Kill enemies and use their corpses to build new crops to gather! - Many rare Relics to obtain!